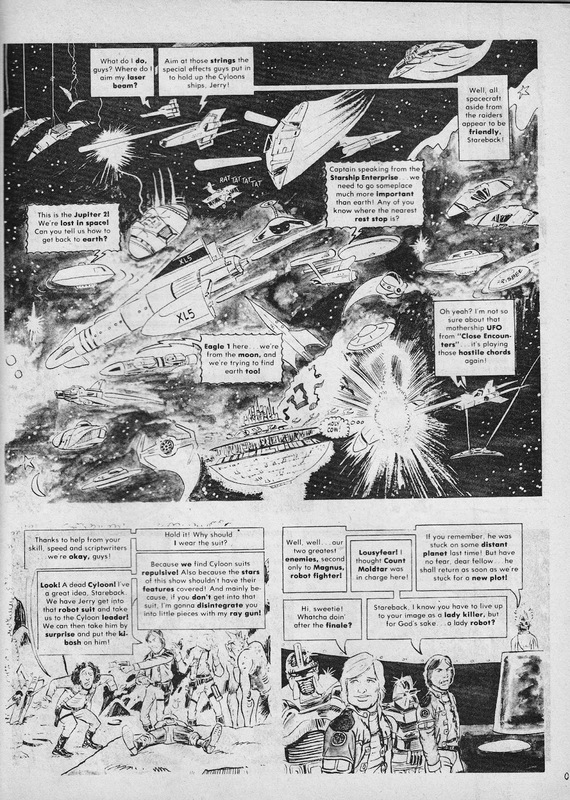 Here's another of the numerous 2000AD spin-offs published by Quality Comics in the late 1980s. 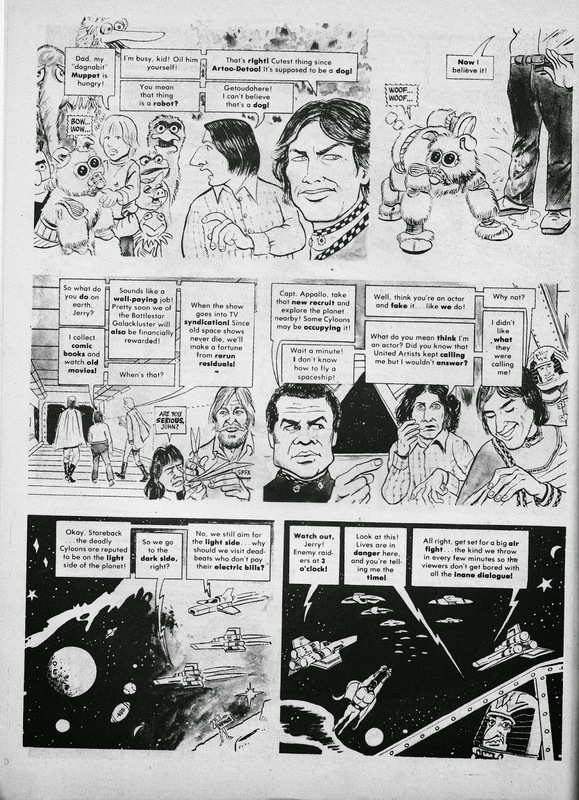 As the name suggests, it was an anthology compilation of the numerous short stories from the UK weekly, unfortunately crudely distorted to fit the different US page dimensions… and poorly coloured and printed (Quality was not - ahem - a byword for quality). It ran for 21 issues. 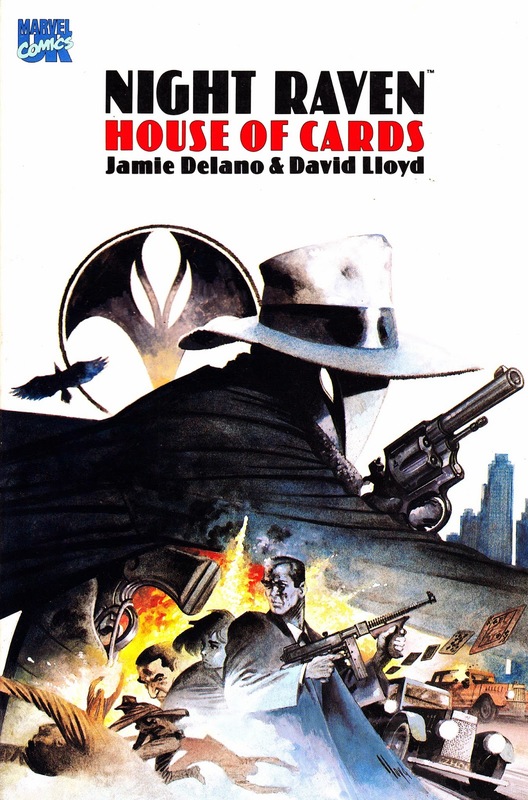 These are the covers, front and rear, of the 1992 reissue of the NIGHT RAVEN: HOUSE OF CARDS graphic novel from MARVEL UK. 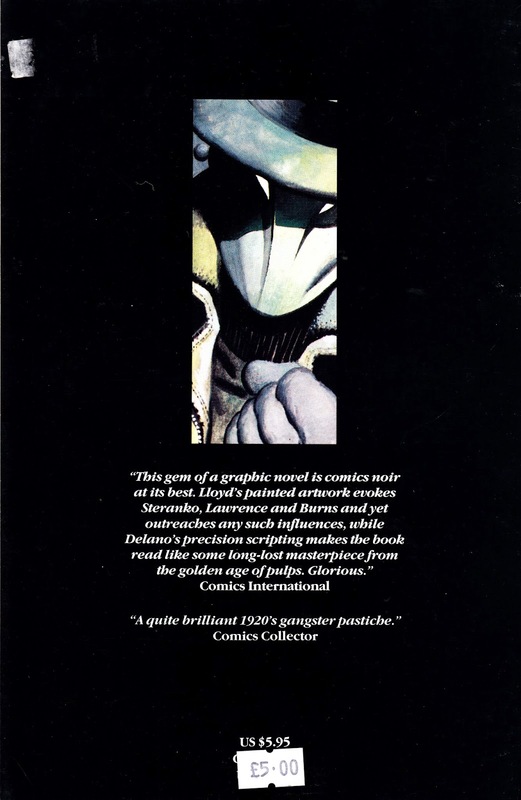 Originally published as an A4 Graphic Novel a couple of years earlier, it was reissued in '92 in the comic-sized Dark Knight/ Bookshelf/ Prestige (delete-as-applicable) format as part of the Annex of Ideas' North American push. 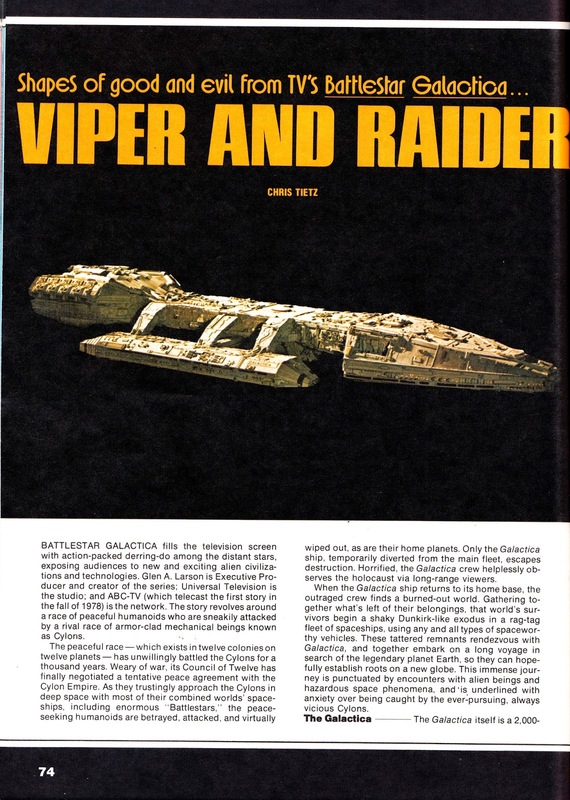 Here are the remaining pages (I've already posted the two full-page Viper and Raider blueprints) from the BATTLESTAR GALACTICA section from 1978's FAMOUS SPACESHIPS OF FACT AND FICTION. 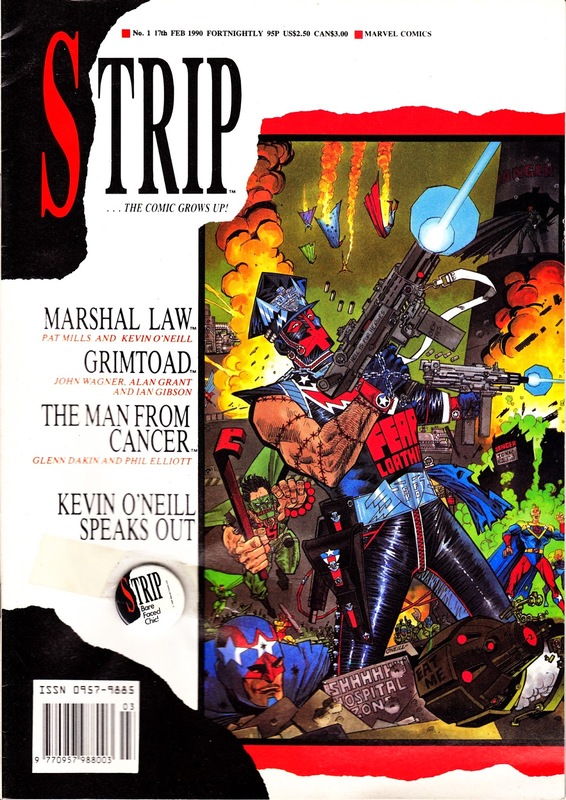 STRIP was a 1990 MARVEL UK launch, which notched-up twenty issues before succumbing, that was part of the wave of comics-for-adults (or, at least, older children) that surfaced around the turn of the decade (see also: VIZ and its numerous imitators, CRISIS, REVOLVER, BLAST, JUDGE DREDD THE MEGAZINE, MELTDOWN and others). The logic was simple: kids weren't buying comics anymore so, to stay in business, publishers needed to hold onto their existing audience for a few years longer. 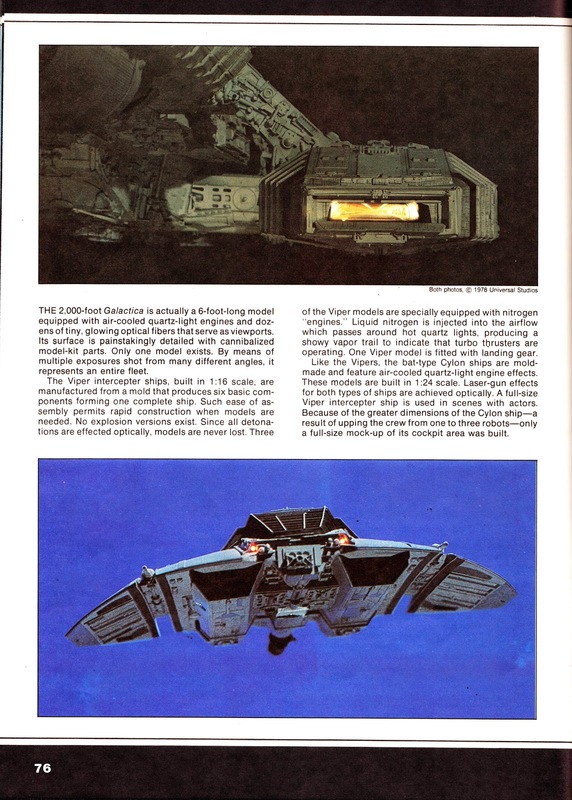 Plus, in the wake of the success of THE DARK KNIGHT, SWAMP THING (the comic… not the movies), the Vertigo line and the BATMAN movie… comics were (as far as the media were concerned anyway) COOL. Official. Marvel UK went after the slice of the action with STRIP. The cover copy above sets out the early line-up. 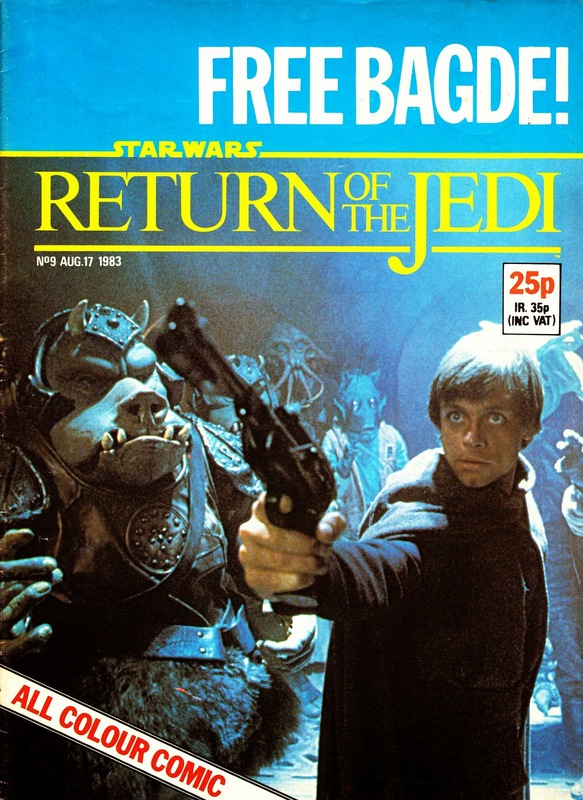 Later additions included THE PUNISHER (an unofficial merger of sorts following the demise of Frank Castle's own title) and a new DEATH'S HEAD adventure (The Body In Question, also collected in Graphic Novel form). 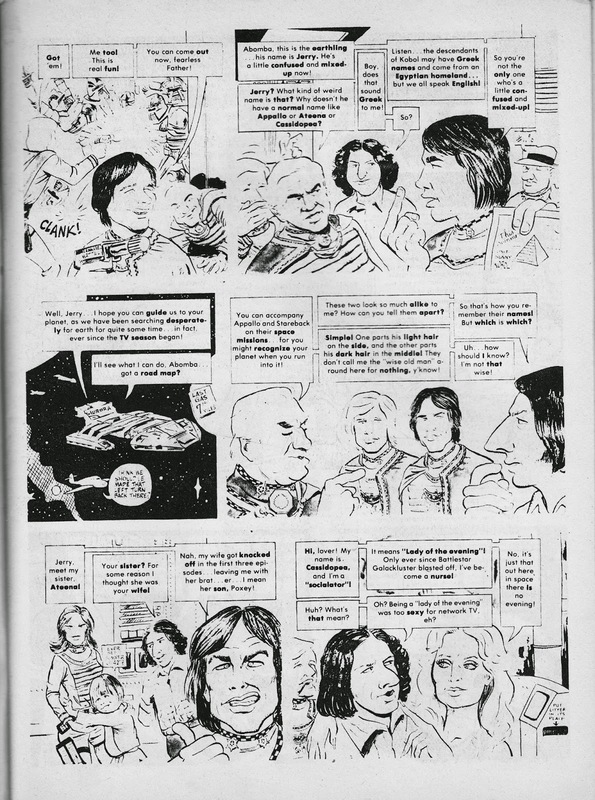 A new NIGHT RAVEN adventure was scheduled for the 21st issue but, despite some promotion, the fortnightly was canned (without warning) an issue earlier. House of Cards eventually appeared (twice!) in graphic novel form. Note the small freebie, a pin badge, still attached to this copy. 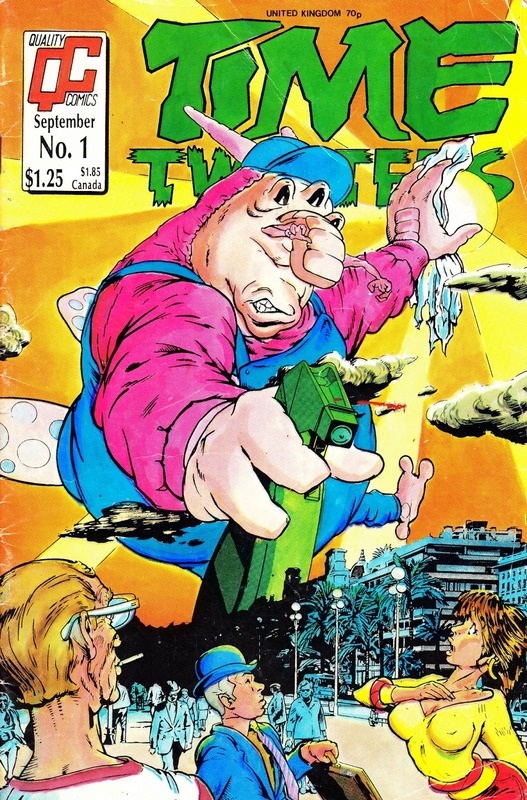 The slogan "The Comic Grows Up", a familiar refrain at the time, was subsequently spoofed by TOXIC: "The Comic Throws Up". 2. Arrange for the freebie to be taped over the offending typo so that it only becomes obvious once the gift has been removed. Sorted. 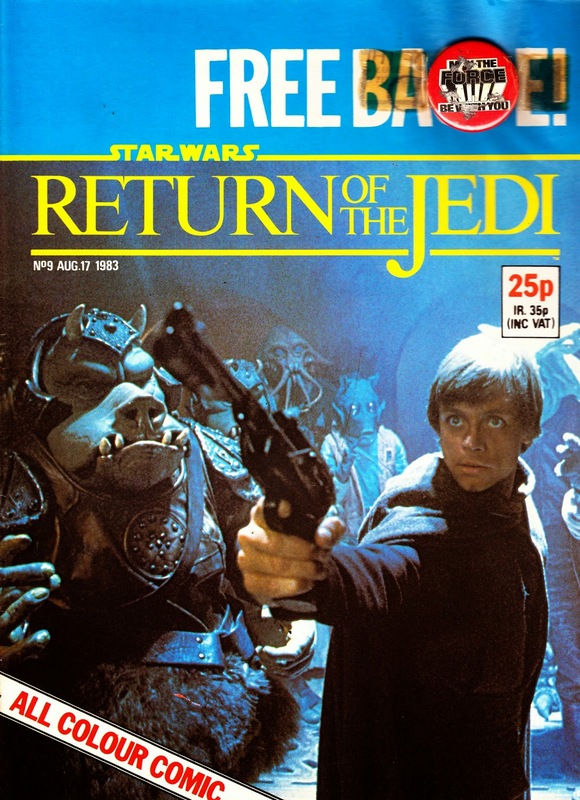 I've covered this infamous blunder before but, until recently, I've only had a copy of RETURN OF THE JEDI issue 9 with the gift long since detached. Recently I stumbled across a copy (for the princely sum of £1) with the badge still in-situ and discovered their crafty solution. The badge was clearly intended to sit top-left in the convenient gap. Nice and visible even if the comic was partially obscured on the retailer's shelf. 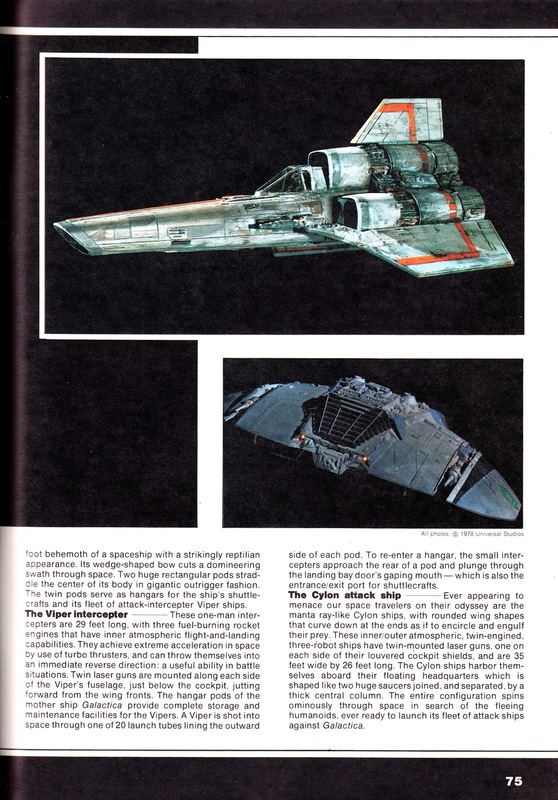 Here's another BATTLESTAR GALACTICA blueprint from 1978's FAMOUS SPACESHIPS FROM FACT AND FANTASY: The three-Centurion Cylon Raider. 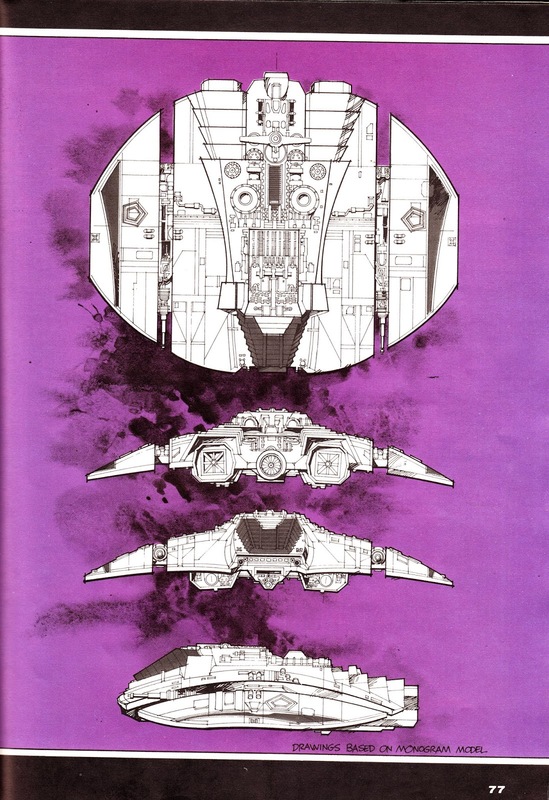 Once again, the "blotchy ink effect" is a design feature rather than a poor copy of the illustration. This is one of the many US reprints of 2000AD fare churned-out in the 1980s and early 1990s (before DC Comics licensed JD and nixed the existing titles as part of the deal) from the oh-so-inappropriately named Quality Comics (several years after Dez Skinn had parted ways with the company). 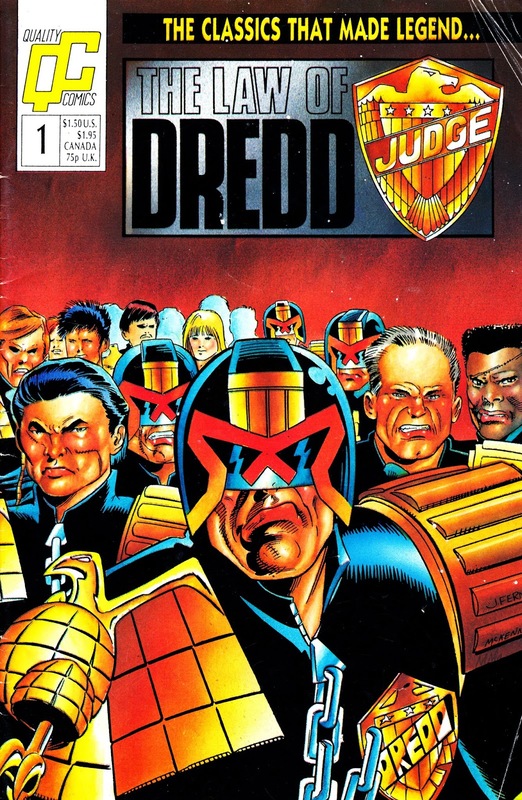 THE LAW OF DREDD, like the other Quality books of the time, depended on reprints from 2000AD and slapped-on new covers which, other than featuring the character, often had naff-all to do with the contents inside. 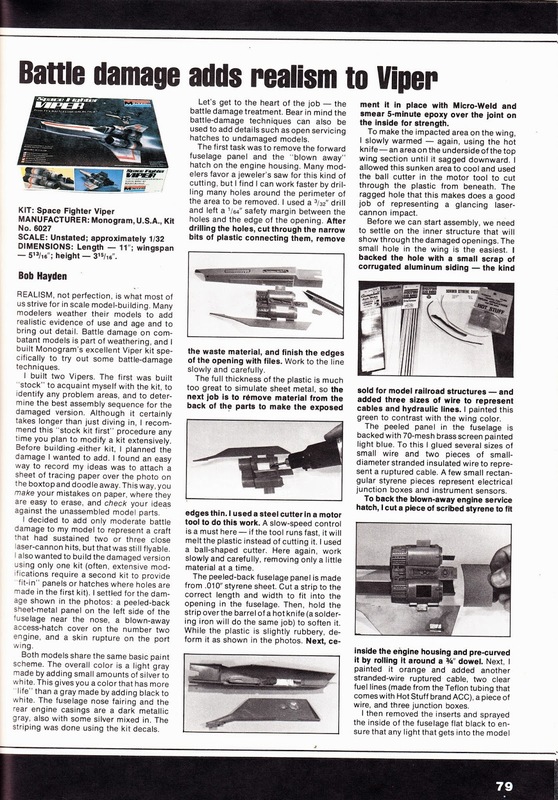 From the 8th issue, this started to appear under the Fleetway Quality masthead after the British publisher started to take a more hands-on interest in the reprints. 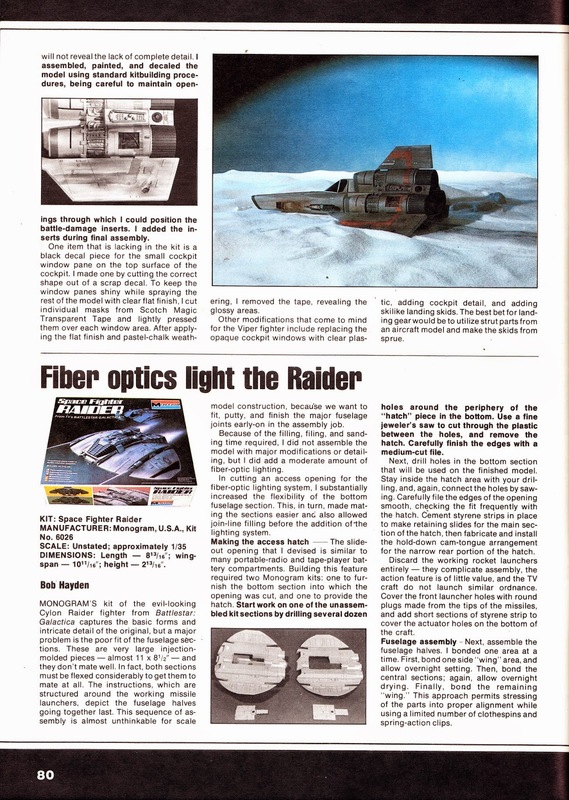 It eventually clocked-up 33 issues. 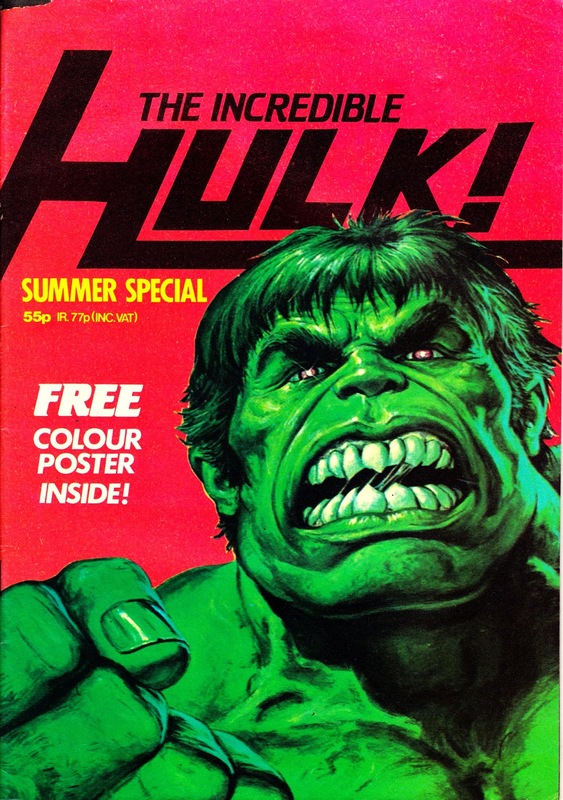 Another Mighty Marvel UK seasonal one-shot: THE INCREDIBLE HULK SUMMER SPECIAL 1982, published alongside the second incarnation (launched in May) of the Green Goliath's weekly. 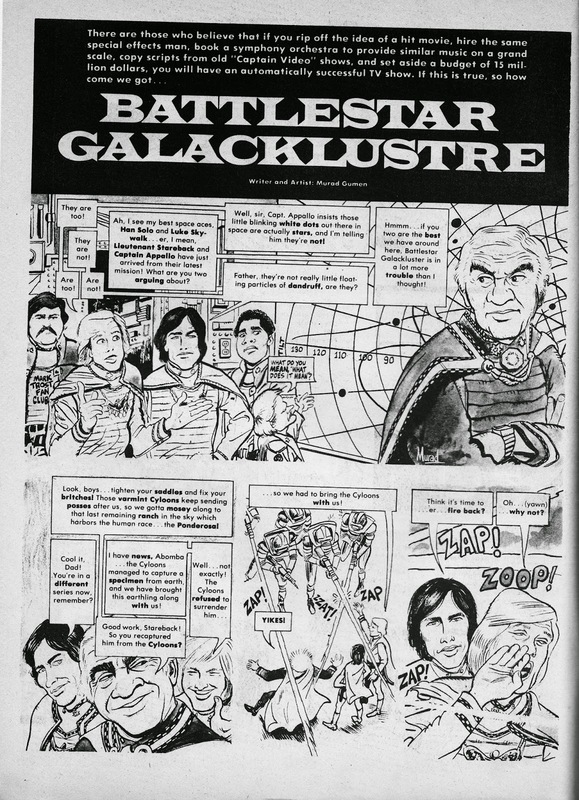 More BATTLESTAR GALACTICA (or… a close approximation of it), this time from MARVEL UK's FRANTIC WINTER SPECIAL, published in late 1979. Dez Skinn had previously been the boss at the British edition of MAD MAGAZINE so it's no wonder that he'd repeat the formula at his new new home. 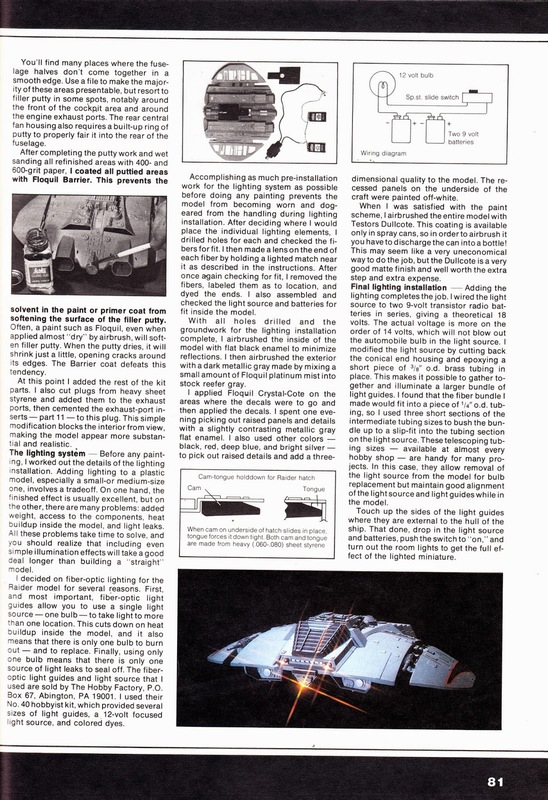 This was the second FRANTIC one-shot (following Skinn's tried-and-tested piloting process before committing to a regular launch) and was followed by a monthly the following year. 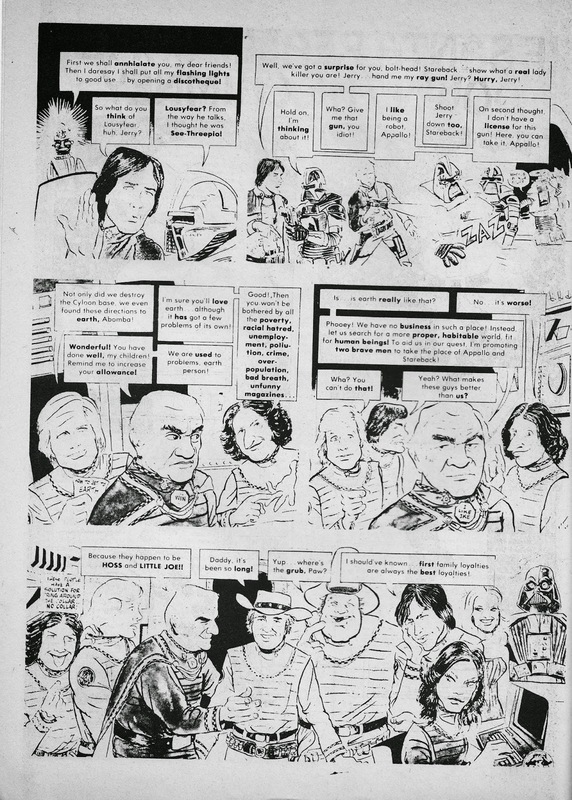 I imagine that this strip was reprinted from the 47th issue of Marvel's US MAD imitator CRAZY MAGAZINE although I don't have a copy to hand to double-check. 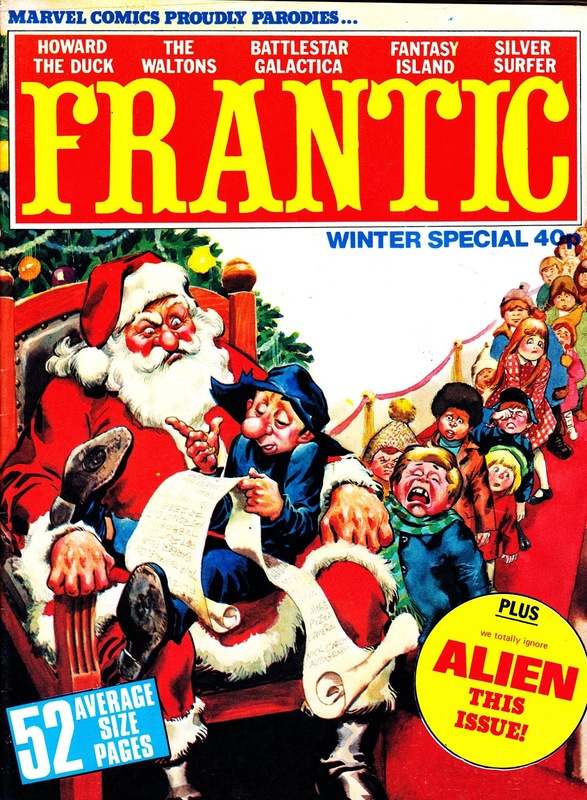 The cover art is recycled from CRAZY issue 16, published in the States during the 1975 festive season (and cover-dated March 1986).